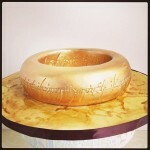 Global Geek News > Cool pictures > This Lord of the Rings Gollum Cake is Incredible! 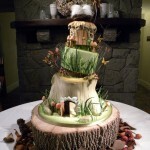 It has been a while since I have posted a cool cake so when I saw this one, I knew I had to post it. 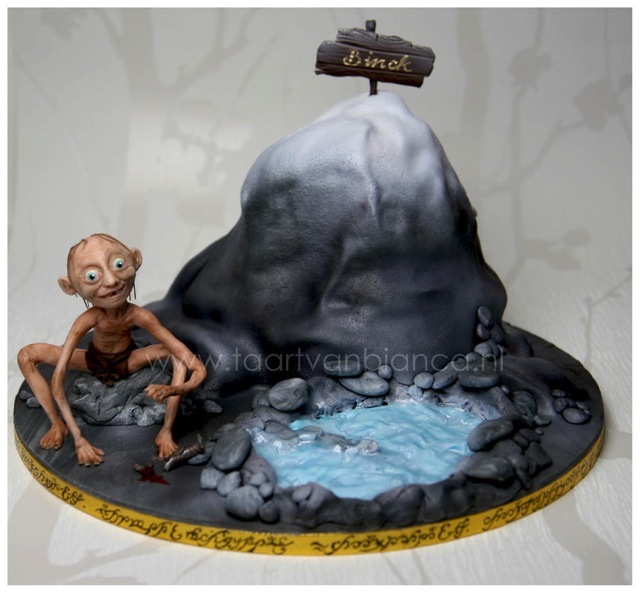 I have posted some pretty amazing Lord of the Rings cakes in the past including a cute Gandalf on a hobbit hole birthday cake and an amazing Dark Tower cake but I think this Gollum cake might just be my favorite. 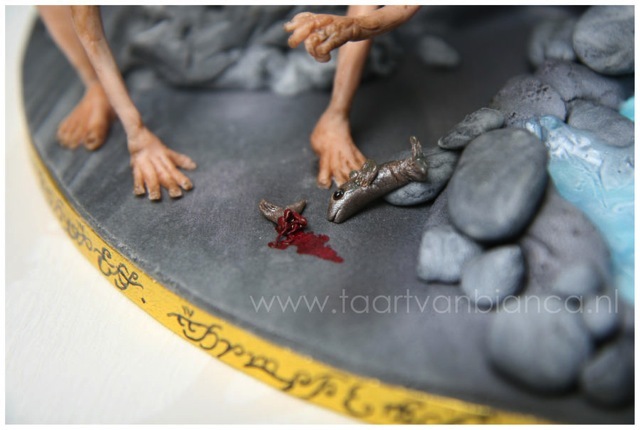 The creator of this incredible Gollum cake is taartvanbianca. 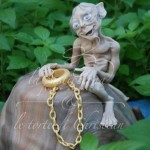 They are obviously an extremely skilled cake decorator because the detail and coloring on Gollum as well as the rest of the cake is absolutely stunning. 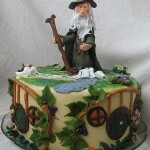 The small things make this cake even more special like the Elvish writing around the edge and the dead fish that Gollum has been eating. 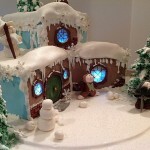 The Gollum in this cake looks just as creepy as the character in the movie and I don’t think that was easy to accomplish so hats off to taartvanbianca.